Before you can use a program, you must first install it on your computer. Most programs come packaged in a CD or DVD and will automatically launch an install routine when you insert this media on your computer. If the installer does not automatically launch, open the CD or DVD in My Computer and look for a file named setup. When you click on the setup file, your program’s installation routine will begin. In some cases, you can get a cheaper version of a program if you choose to purchase it from an online store, in which case you only have to download the installer from a website to your hard drive and double-click on it to start the installation routine for that program. Many programs have their own uninstall routine which will remove the files that make up that program from your computer. To manage the installed programs on your computer you will often use the Add/Remove Programs applet in the Control Panel (Start, Control Panel, Add/Remove Programs). You will rarely use this applet to add programs to your computer because most programs have their own installer. However, you will use this applet a lot to remove programs or change how they are installed. For example, if you have Microsoft Office installed on your computer you actually have a whole suite of programs installed. Microsoft Office includes individual programs for word processing, spreadsheets, presentations, databases, and email. If you want to completely uninstall Microsoft Office, click on the Remove button. 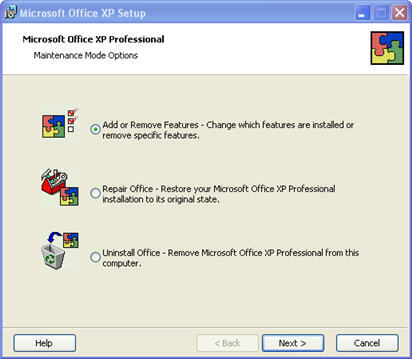 If you only want to remove an individual Office program that you will not be using, click on Microsoft Office on the list displayed when you open the Add/Remove Programs applet, then click on the Change button. This will open up another window where you can select to remove the whole suite or just change which programs are installed. 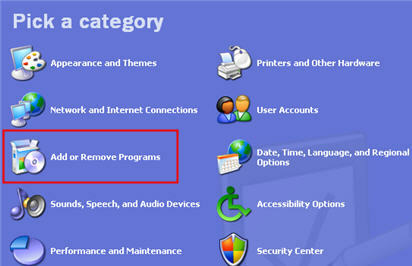 The steps for removing the program will vary for each program you have installed. Many programs actually share some files, and they may ask you during the uninstall process if you want to remove those shared files. Even though it will waste some disk space, it is often safer to just say yes when prompted and leave these shared files on your hard drive, in case they are needed by the system or by another program.